How to show formatted html content in grid view? In this article I have explained in detail how to show html formatted content in the grid view content. For example we are stored html content in the database show that content in grid view as like in web page output. 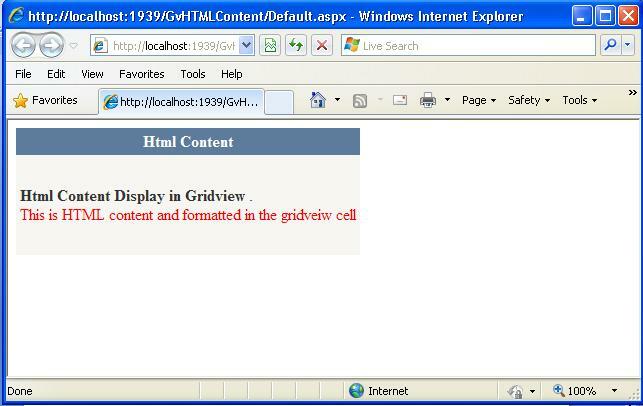 &LT;asp:GridView ID="GridView1" runat="server" CellPadding="4" ForeColor="#333333"
I hope this article help you to know about how to handled html contents inside of grid view control.